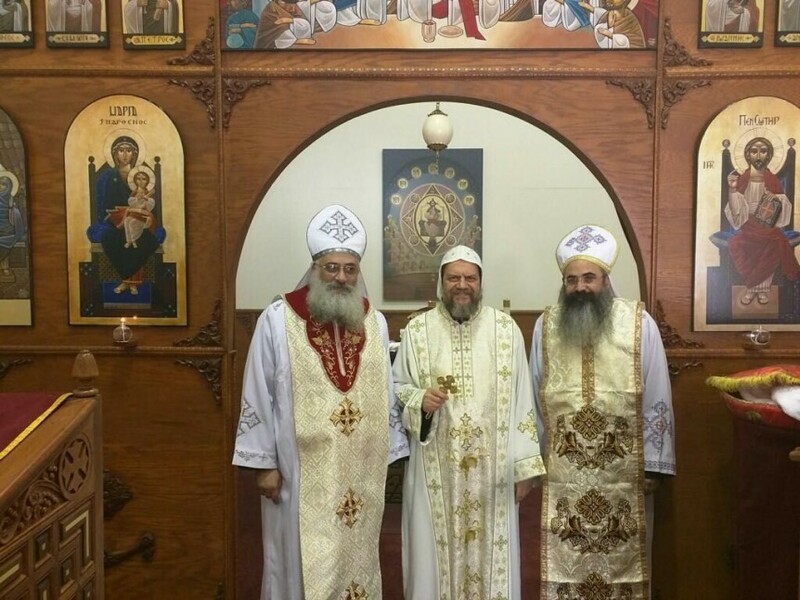 On Monday, March 14, 2016, His Eminence Metropolitan Serapion celebrated the Divine Liturgy at the St. Paul Brotherhood and elevated the Very Reverend Father Isaac Boulos and the Very Reverend Father Dr. John Paul Abdelsayed to the priestly dignity of Hegumen. The elevation of these two beloved holy fathers precedes the eagerly anticipated joy of their consecration as auxiliary bishops later this year to assist His Eminence in various aspects of the service within the Diocese. Father Isaac was a consecrated deacon in the Bishopric of Public, Ecumenical and Social Services with His Eminence in Cairo from 1988 until 1997. 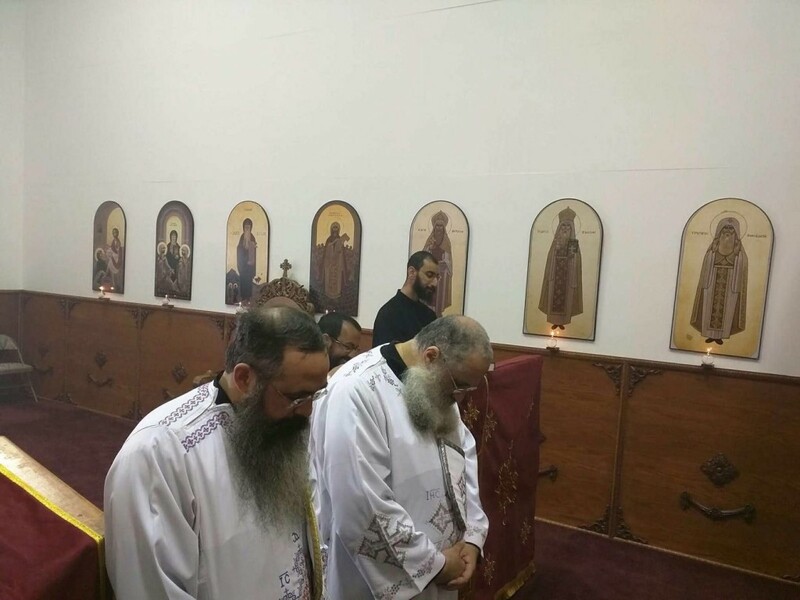 The Thrice-Blessed Pope Shenouda III, along with His Eminence Metropolitan Serapion, ordained him as a celibate priest on May 31, 2001 for the St. Paul Brotherhood. He has been an active priest in the Diocese administration and at St. Maurice Church in Pomona and St. Mark Church in Los Angeles. Father John Paul Abdelsayed has a Bachelor of Science in Communication Studies from UCLA and a Juris Doctor degree from the Georgetown University Law Center. He then earned two masters degrees in Theology from Holy Cross Orthodox School of Theology in Boston, and a Ph.D in History of Christianity from the University of Notre Dame, School of Theology in Indiana. After serving as a consecrated deacon at the Coptic Orthodox Christian Center from 2000-2002, he was ordained as a celibate priest for St. Paul Brotherhood on October 20, 2002. He currently serves at St. Mina Coptic Orthodox Church in Riverside, and as Dean of the St. Athanasius and St. Cyril Coptic Orthodox Theological School in Claremont. May God continue to bless the service of these much beloved fathers and grant them the grace of the Holy Spirit in their coming consecrations, God willing.